These well-seasoned roasted potatoes are flavored with garlic and a little lemon juice. 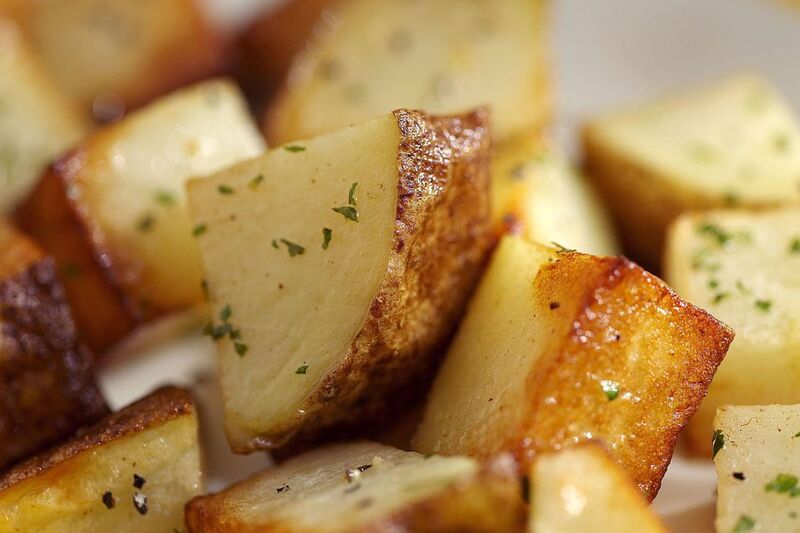 The potatoes are tossed with olive oil and roasted to perfection. Lightly oil a rimmed baking pan or baking dish or spray with nonstick cooking spray. Or line the baking pan with nonstick foil. Combine the cubed potatoes with the remaining ingredients in a large bowl; toss until the potatoes thoroughly coated with the oil and seasonings. Let the potatoes stand 10 minutes. Spoon the potato mixture into the prepared baking dish. Bake for 35 minutes or until tender and lightly browned, stirring occasionally.